You are sleeping so soundly in your bed when you are awoken to a loud thud and your son screaming in pain. In your half-awake stupor you run into your son's room thinking he fell out of his loft bed. He isn't in there and you realize he is next door in his sister's room. Upon entering the room you see him clutching his head and screaming. You ask him what is wrong and he runs out of the room. Now you run after him. He stops and begs you not to touch him (what is that about?) and you agree. He takes his hands away from his head and his eyelid is bleeding. You tell him such and that you need to clean it and he takes off- running away from you. He does not hear reason. He runs from you as if you are going to chop his arm off. You run after him and tell him to calm down. No luck. You grab the cotton balls and hydrogen peroxide and chase him around the house, wrestle him to the floor, sit on him and clean his eyelid. All the while the dog thinks you are murdering the poor child so he is barking directly into your ear. You are now partially deaf. Congratulations. You just made it to 9am. That was my morning yesterday. Yesterday was stupid. Today no one has decided to catch their fall with their face. Thank you for that. 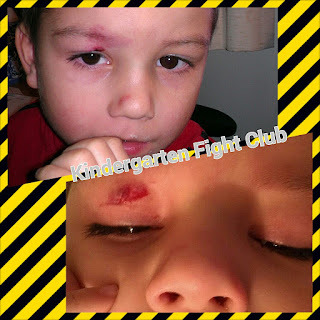 Sebastian looks like he came out of Fight Club. I can say that it looked MUCH better after I cleaned it. 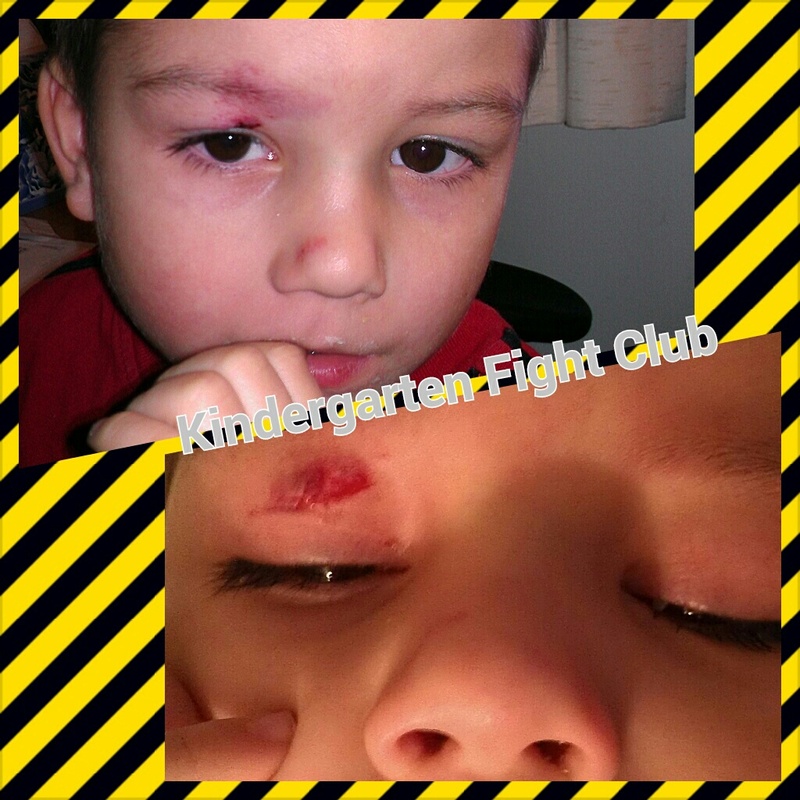 Sebastian says he fell out of Kaelyn crib when she poked him in the eyes and he was blinded. He also says he hit his head on the space heater. I believe it all. His mother caught herself with her face on an electrical box and needed 7 stitches. His father slipped on a crayon and his his head on a hearth. It is in his blood. Kaelyn- your future is doomed. Wow! Certainly hope things are better this week!